HMD Global Launched Nokia 150 feature Phone which is now available from the Carphone Warehouse in the UK. Nokia 150 come with built-in FM radio1 and MP3 player. 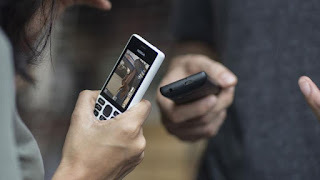 The large 2.4” screen and familiar user interface and keypad make easy-to-use.To ensure users can stay connected for longer the phones have outstanding battery life, with talk time lasting up to 22 hours, and standby times of up to 31 days for the Single SIM and 25 days for the Dual SIM variant. The phones charge with a standard micro-USB charger and come with a LED torchlight.